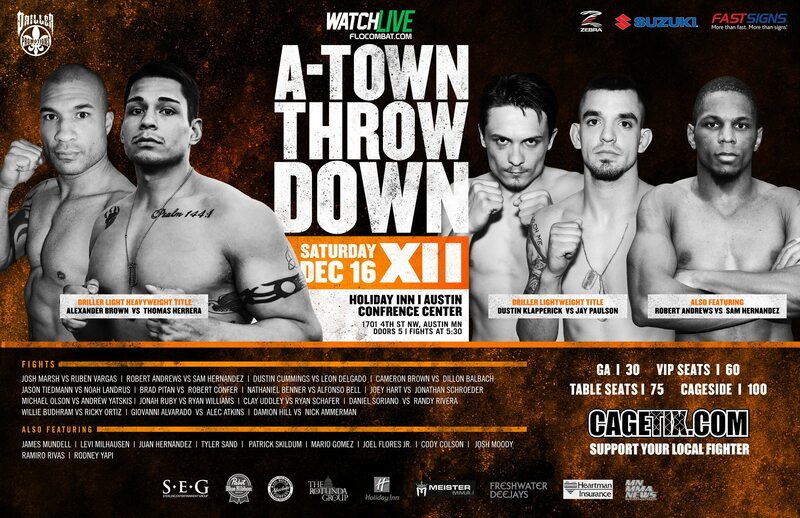 A-Town Throwdown XII happened Dec. 16 2017 in Austin, MN and features some of the areas best Amateur and Pro Fighters. Be sure to check out the action filled night filled with decisions knockouts and submissions! Featuring local favorites, Robert Confer, Thomas Herrera and Jay Paulson, along with many up and comers including professional fighter Josh Marsh from Roufusport.